I was attracted to Tacomania, of course, by their sign on Stevens Creek, promising “Que pinches tacos!” I just don’t think obscenities are used enough in modern marketing, so it has been on my list to try for a long time. Yesterday, I was doing my afternoon errands, and I was still a bit hungry after lunch. That need for a little food – not a meal, just a snack – is why Mexico invented the Antojito, and the king of antojitos is the taco. I drove past Tacomania and realized that would be just what I needed, so I turned around and went on over. They have a nice menu – tacos, burritos, tortas, and some other items, with a really nice variety of meats, from chicken to buche. To my surprise and delight, they even have a vegi taco for $2 – exactly what I wanted! Some cheese, some beans, some veggies – it sounded perfect, so I ordered one. I went over to the patio area while they were preparing the taco – it’s pretty nice, even on a rainy day. They have a nice salsa bar set up with cucumbers, radishes, and red or green salsas. I got a small container of the red salsa to try on my taco. Now, of course, my expectations were low – for a veggie “Mexico city-style” taco, I was expecting a tortilla with some beans, a little cheese, and some cabbage or lettuce, served on a piece of paper. Since I had ordered it “to go”, they gave me a plate and covered it with a piece of foil, then put it all in a bag – for $2 this was quite a production! I took the taco to my truck to take it home, but I couldn’t resist peeking – besides, I realized, I had stopped here because I was hungry! Was I surprised! What I got was a wonderful, warm corn tortilla, fresh, whole pinto beans, cheese, cabbage, onions, bell peppers, two generous slices of tomato, a slice of avocado, and some delicious pineapple. I tried a few bites and it was delicious. I then put in a generous helping of the red salsa and I was transported to heaven. It was the perfect “bite” on a cold afternoon in the valley – I floated my way through the rest of the day. 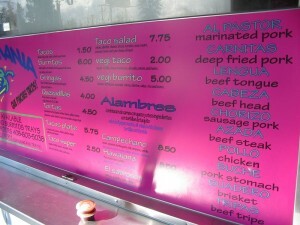 While I was there, I saw some “normal” tacos, burritos, and tortas go by, and they looked (and smelled) delicious. A “vegi” taco has got to be an afterthought for a taco stand in this odd part of the world with so many “veggies” around. But the fact that they have one and executed it so well, I think, speaks volumes. These guys are here to stay, and more power to them! 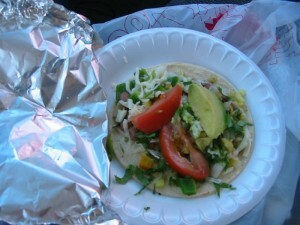 This entry was posted in review and tagged mexican, silicon valley, tacomania, tacos. Bookmark the permalink. I totally agree. I was very surprised how fresh the tacos were. I order the carne azada and the red salsa to die for. I will recommend it to friends and family they got my thumbs up for sure. Tacomania Al Pastor meat is the best. 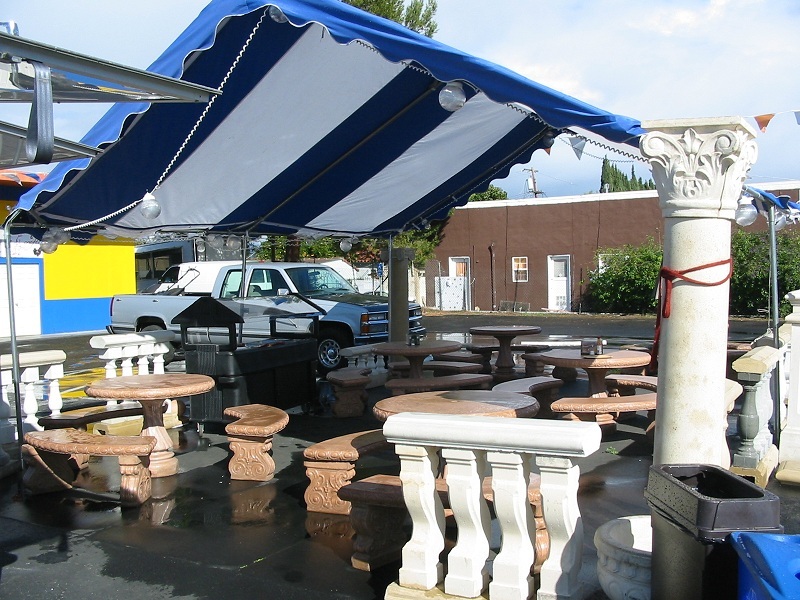 They have a few stands around San Jose and are known is the Mexican community for authentic fresh food. Try the Alambres, which is like a cheese steak sandwhich but in tortillas.